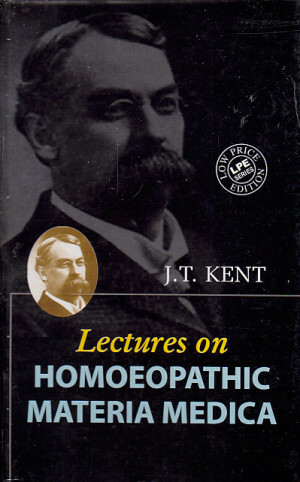 Lectures On Homoeopathic Materia Medica is a course of lectures on 217 remedies from J. T. Kent who was one of the most influential American homeopaths. Categories: Health, Health and Medicine, Homoeopathy, Mind, Body, Spirit. Tags: homeopathy, 9788131901441, alternative medicine, alternative therapy, complementary medicine, complementary therapy, health, homeopathic medicine, homoeopathic medicine, homoeopathy. The first edition of Lectures On Homoeopathic Materia Medica was published in 1905. Kent felt that the speech of the layman presents all sickness to the physician’s mind, hence materia medica must be reduced from technicalities to the simple speech of the patient. This is one of the first instances where a remedy picture is portrayed. These are the transcribed lectures from Kent’s classes at the Post Graduate School of Homeopaths in Philadelphia. Though not a primary materia medica, there are wonderful gems to be found within.